Now that winter is really here, our thoughts turn to comfort food to warm both hearts and bellies. This chocolate applesauce cake fits the bill, with or without the luscious chocolate icing. 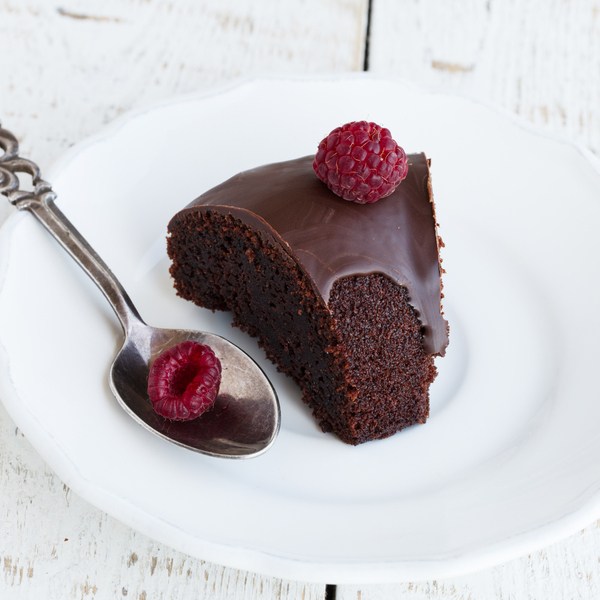 A great cake to snack on during a short winter Shabbat afternoon, or any time at all! Make it parve or milchig, depending on your druthers and the content of the meal you eat first (though you may be tempted to skip the meal and go straight to dessert—it’s that good!). Blend margarine with salt, spices, sugar, and cocoa. Cream well. Add eggs one at a time, applesauce, and finally flour mixed with baking powder and baking soda. This icing is versatile. You make it thicker so you can squeeze it through a decorating tube or thin to drizzle over a cake by adding more or less powdered sugar, or thinning with more hot liquid, a little bit at a time. Melt butter or margarine. Add cocoa, mixing until smooth. Add hot water or other hot liquid of choice and salt, then vanilla. Beat in powdered sugar gradually, until icing is thick enough to spread. You may not need all the sugar.